Onde provides your company with precise price calculator based on the time and (or) mileage. It gives customers exact prices and allows you to manage cost estimation in different ways. It makes the system calculate a price of the ride according to the major parameters for a rate cost calculation (flag down fee, fee per minute, per kilometer etc). In Order total calculation enabled mode all payment methods are available. 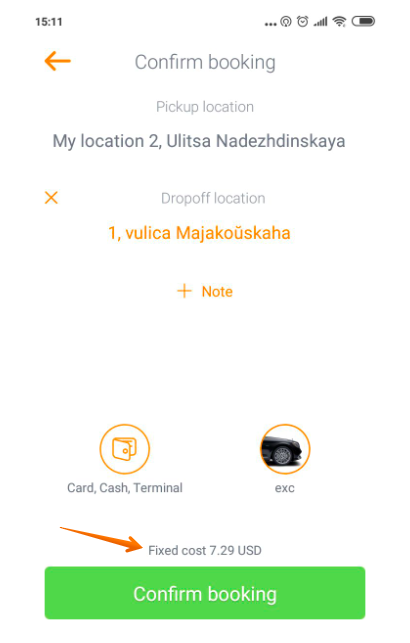 Using this feature you can allow your drivers to add extra cost at the end of the ride or fix price of the ride before it starts. 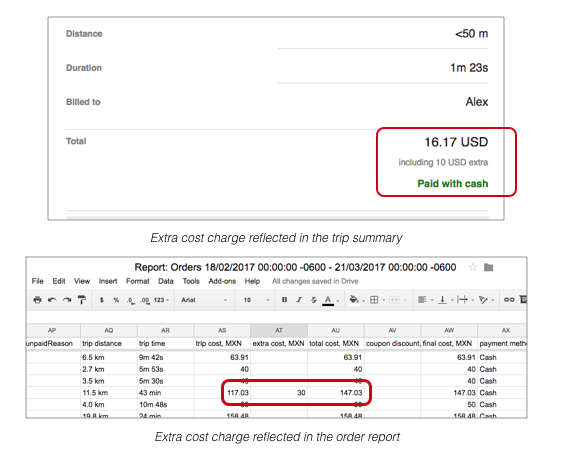 Option “Allow driver to add extra cost” makes possible to charge passengers with additional payments at the end of the order. It helps to cover additional costs of the toll roads, bridges or fee for the extra luggage. Client sees extra fee in the receipt and in the trip summary. Column AT of the orders report reflects information about additional costs charges of the customers. The system always calculates order total before it starts. Fixed cost option makes possible to charge clients according to the estimated cost from pick up to drop off locations. By enabling the option your customers will pay fixed cost despite any changes during the ride. Please remember that fixed cost applies only for the rides with drop off locations. If you need to make destination location mandatory, drop us a message on support@onde.app.